At Licenseplates.tv, we recognize auto enthusiasts choose particular manufacturer brands because of brand loyalty, family history or a new offering which meets your selective criteria. 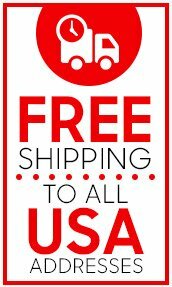 To accentuate your brand loyalty, Licenseplates.tv has gathered the most exclusive line of officially licensed auto brand license plates especially for you. Our officially licensed auto brand plates are made from the finest stainless steel and factory quality brand emblems or modern laser cut acrylic. The 3D line of auto brand plates is manufactured by combining fine chrome or 24 karat gold vehicle emblems to mirror stainless plates. The finish of our 3D plates is truly magnificent and will certainly add a stated style to your vehicle. Other 3D plate colors include Black, Yellow, Red, Blue and Green. The Laser Acrylic auto brand plates are offered in a high gloss black background and contrasted with mirror silver or mirror gold details of your vehicle's emblem and nameplate. 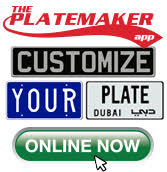 This modern license plate is a great value for auto enthusiasts who prefer a flat finish. Officially licensed vehicle nameplates are from: GM, Ford Motor Company, Chrysler LLC, Nissan North America and Toyota Motor Sales, U.S.A., Inc.